What makes one rookie better than another? Typically, it’s talent — in each individual draft class, you can relatively easily spot out the players that are a cut above their immediate contemporaries. This is part of the reason why some players go No. 1 overall and some of them barely make it into the league, and why the first overall draft pick is signed to a larger deal than the final pick of the second round. It’s why the Hall of Fame isn’t the Hall of Participation. There’s a level of quality that is assumed to operate as a baseline criteria. How to determine which players are better than others across eras? Thanks to the wonder of advanced stats, the question should be easily answered, but should be is not is, and every attempt at refining down the list with one metric or another inevitably lead to some weird, uncomfortable outliers: We like Terry Cummings and Marques Johnson as much as the next fan, but the fact that they only peaked in specific measurements, rather than hovering near the top regardless of what metric we sorted the eligible players by, ultimately disqualified them from the general discussion. In other words, an objective ranking is difficult, and as such these top seven selections aren’t ranked strictly best to worst. To a certain subsection of fan, rings are all that matter, but how many outstanding rookies really contribute to their teams’ successes, especially in the postseason? Even a player as talented as LeBron James missed the playoffs during his rookie year, after all. Win-loss ratio and (if applicable) championship success was considered alongside the raw stats, both normal box score things like points and rebounds as well as more advanced metrics. Lastly, this list only covers players who played in the league after the NBA-ABA merger of 1976, but the giants of the NBA’s past — Wilt Chamberlain, Oscar Robertson, Elgin Baylor, and George Mikan — do deserve a nod here. 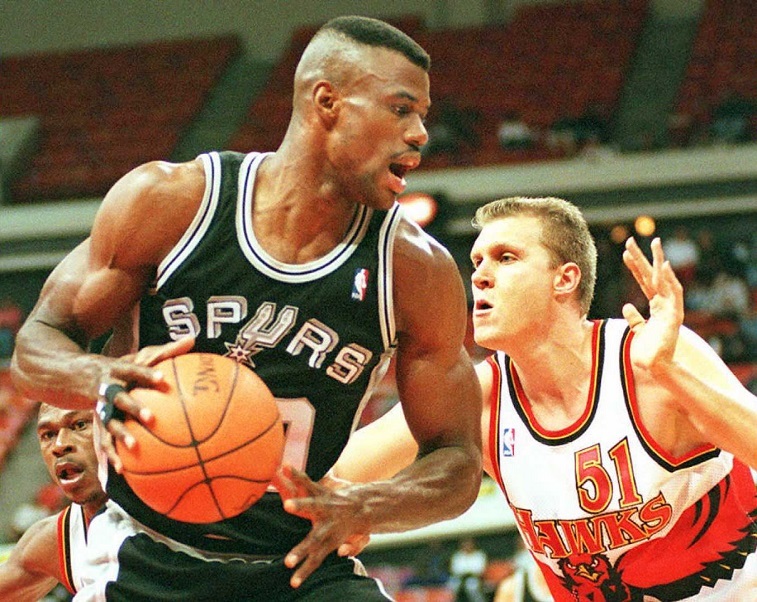 Not only do the advanced stats love David Robinson’s rookie year — he’s first in NBA history if you sort by rookie season Win Shares or rookie season PER — he was also the minutes leader on a 56 win San Antonio team that took Clyde Drexler’s Portland Trail Blazers all the way to seven games in the Western Conference Semifinals. Did we mention that this was under Larry Brown, who has a deserved reputation for playing players he likes (a designation not typically reserved to first-year NBA players)? The Admiral would average 24 points and 12 rebounds in his rookie season, but would rather famously fail to win an NBA title until the arrival of the second player on our list. The guy in the mind’s eye of tankers everywhere, Tim Duncan is not only the most successful power forward in NBA history, but he’s also the perfect example of the kind of player every NBA franchise wants to draft: a distinction that he shares with David Robinson. 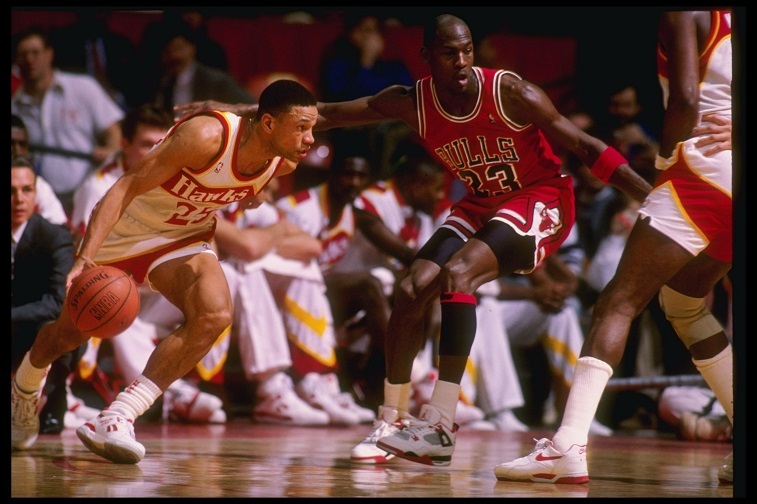 Both players were late arrivals to the professional league, with Duncan staying for four years of college and Robinson serving in the Navy, but as a result they arrived as fully formed basketball players. Duncan’s numbers suffered slightly in comparison, as he managed to average just 21 points and a shade under 12 rebounds, but on the other hand, his presence led directly to championships, as the Spurs picked up their first in his sophomore season. The fact that the Spurs win/loss ratio increased so dramatically once they drafted Duncan is noted, but also a little suspect, since they were shutting down players and firing coaches during the season in what was a fairly open secret to move up in the lottery. 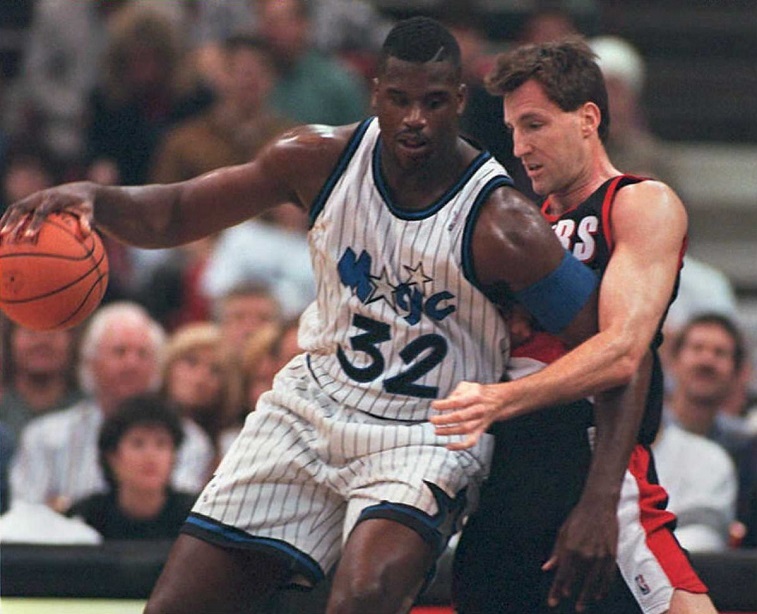 At the risk of running afoul of Shaq’s current coworker Charles Barkley, there are few NBA players that can lay claim to being as singular a force as Shaquille O’Neal in his prime, and even during his rookie season it was obvious that Shaq represented a one man paradigm shift in the way the low post was treated. Not only did he put up solid numbers for a .500 team, but he led to the rebuilding of the modern NBA rim, as well as the reintroduction of the zone defense and the rules regarding fouling a player in order to force them to shoot free throws, an action that bears his name and is commonly referred to as Hack-a-Shaq. Also known as the best Lithuanian basketball player in the history of Lithuanian basketball players, Sabonis was a Cold War import who wound up at LSU after head coach Dale Brown petitioned Mikhail Gorbachev to “create a youth basket­ball camp exchange between Baton Rouge and Moscow, as well as to take his LSU team on an exhibition tour of the Soviet Union. In return, the U.S.S.R. would loan LSU the services, for one season, of 21-year-old Arvydas Sabonis, a 7’3″ center from Lithuania who was considered the greatest amateur basketball player in the world.” Needless to say, the plan worked, Sabonis eventually made it to the NBA, and his rookie season with the Portland Trail Blazers showed him making a massive impact in just 24 minutes per contest. His Airness was as close of a lock to this list as you can get, because he’s almost certainly the best player in the post-merger NBA, and that held true for his play as a rookie, too. You can’t find a metric that doesn’t adore David Robinson or MJ, and the two players are certainly two of the most memorable players of ’80s and ’90s basketball. 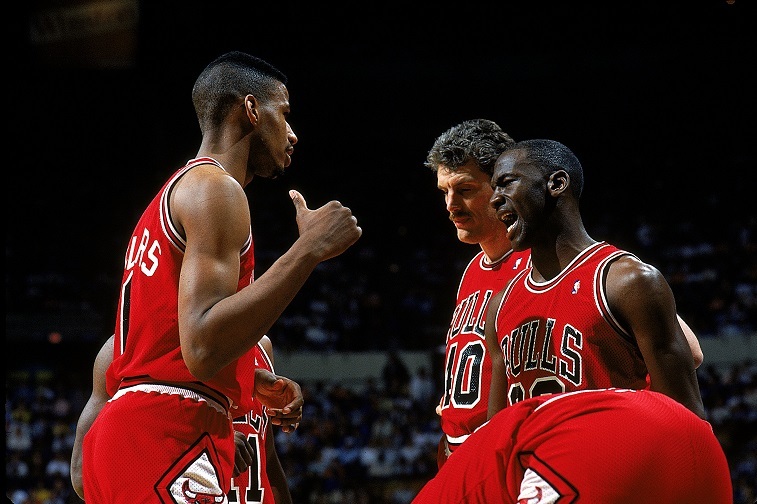 Rookie Jordan was a force, an offensive talent that couldn’t be contained by normal means — just ask the Detroit Pistons — and while his career would be defined by the six championships and the Triangle offense, the Jordan of 1985-86 would singlehandedly carry the Bulls to 38 wins with averages of 28 points, 6.5 rebounds, and nearly 6 assists a game with a ridiculous 59% True Shooting percentage. When we talk about rookies that extend their impact beyond the box score, it’s impossible to ignore the two players who managed to reinvigorate the NBA with their competition as much as the high bar both of them set upon entry into the league. Magic and Bird, fresh off one of the biggest showdowns in NCAA Tournament history, took the pros by storm when they entered the draft in 1979 — Bird put up a scorching 21-10-4 on a 61 win Celtics team while Johnson managed to steer the Lakers to an NBA Title, and picked up a Finals MVP award for his impressive display. Did we miss anyone? Did we really snub Anthony Davis? Let us know!